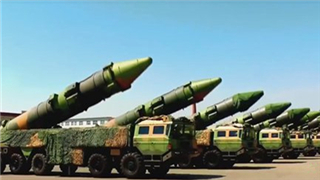 China's core strategic deterrence force on Tuesday released its first promotional video on social media platforms, showcasing the country's DF ballistic missiles and vowing to protect the country's sovereignty. 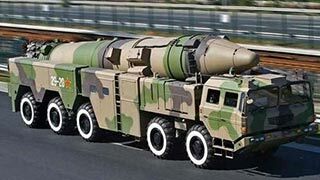 China's DF-26 has been mobilized to Northwest China's plateau and desert areas, after a US warship trespassed into China's territorial waters off the Xisha Islands in the South China Sea on Monday. The think tank of China's People's Liberation Army Rocket Force recently recruited 13 Chinese technicians from private companies, PLA Daily reported on Saturday. 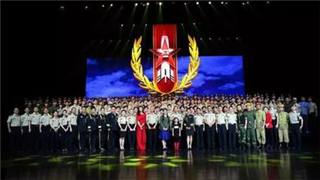 The art troupe of PLA Rocket Force said farewell to the public in a video uploaded on the army's website 81.cn on Friday afternoon. 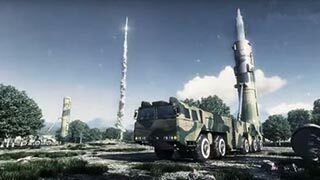 The Dongfeng-26 ballistic missile has officially joined the combat sequence of the PLA rocket force after tests. 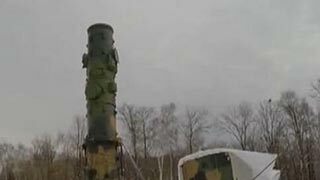 The Rocket Force of the Chinese PLA commissioned days ago a new medium-long range missile system to a newly-established missile brigade. 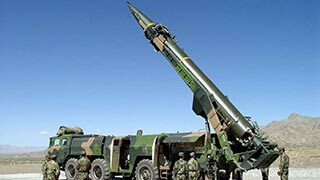 China's defense ministry confirmed Thursday that it has updated weaponry of the PLA Rocket Force for national defense purposes and that it does not target any third country. 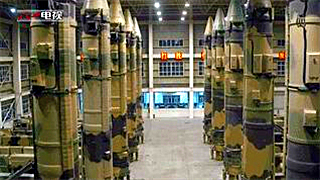 The People's Liberation Army Rocket Force has become more versatile as its missiles have become "smaller, more powerful and more accurate", the force said recently. 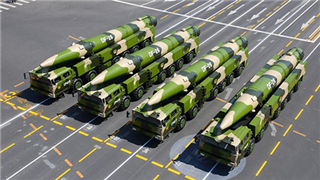 The PLA Rocket Force recently conducted an operational test for its new-type missile weapons in waters of the Bohai Sea and achieved the expected results, said China's defense ministry on Tuesday. 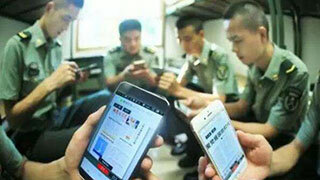 The Chinese military is developing smartphone surveillance software that automatically alerts authorities if a soldier leaks sensitive information or uses their handset devices during blackout times. 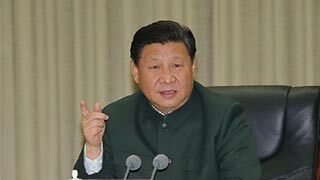 Chinese President Xi Jinping on Monday instructed the People's Liberation Army (PLA) Rocket Force to continue to build itself into a strong and modern rocket force. 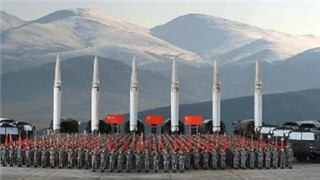 The brigade established China's first female missile launch company in 2011, recruiting about 35 young soldiers, mainly for handling tactical ballistic missiles. Current members have an average age of 24. 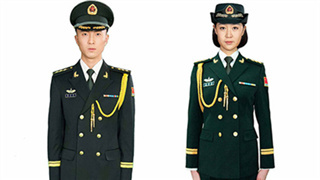 The PLA Rocket Force will issue new dress and service uniform starting from July 1 as approved by the CMC, according to Colonel Wu Qian, spokesperson for the MND of the PRC during the defense ministry's regular press conference on June 30, 2016. 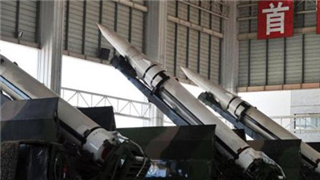 The PLA Rocket Force held a symposium to commemorate the 50th anniversary of the founding of China's missile force, formerly known as the Second Artillery, on Monday in Beijing. On the command "fire," members of the People's Liberation Army (PLA) Rocket Force watched as a projectile was launched into the sky above a desert in western China. President Xi Jinping urged the strengthening of the armed forces through reform, loyalty to the Party and lawfulness when inspecting troops in southwest China this week. A series of drills has been held since the start of the new year to hone the combat readiness of the newly established PLA Rocket Force, according to a report by China Central Television. Several missile brigades of the newly-formed Rocket Force of the PLA conducted military drills in the desert and snow-covered forests at the start of 2016, to enhance combat ability in extreme weather and environmental conditions. 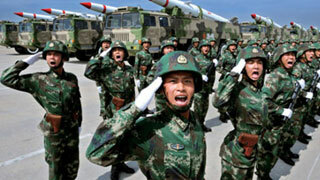 New People's Liberation Army (PLA) forces have promised to contribute to the Chinese dream of a strong military. 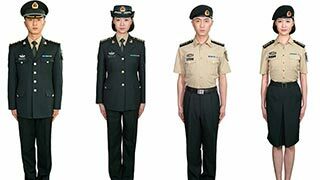 China on Friday unveiled further details of one of its largest military reforms, launching three new bodies of the PLA, including an army command, an upgraded missile force and a special force for space and cyber wars. A spokesman of the Chinese military on Friday said the newly established Strategic Support Force (SSF) of the People's Liberation Army is "an important growth point" in the Chinese military's fighting capacity. 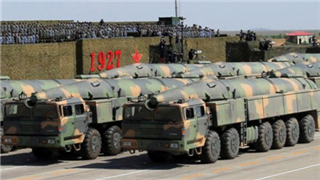 China's nuclear policy and strategy are consistent, without any changes, Defense Ministry spokesperson Yang Yujun said Friday at a press conference. 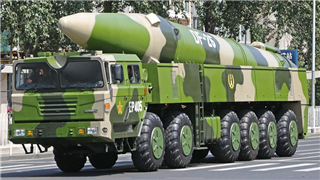 The Chinese People’s Liberation Army (PLA) established the PLA Army’s leading organ, the PLA Rocket Force and the PLA Strategic Support Force on December 31, 2015. An inauguration ceremony was held in Beijing on the same day.